In 2015 I had a rare opportunity to attend a corporate leadership development retreat hosted at Ohio State University in the Buckeye football team training facility. During this retreat we did the traditional review of our strategy and other normal things as well as getting to tour the stadium and go out onto the field. After lunch we had an opportunity to attend a professional development workshop presented by Tim Kight, the creator of the R Factor. 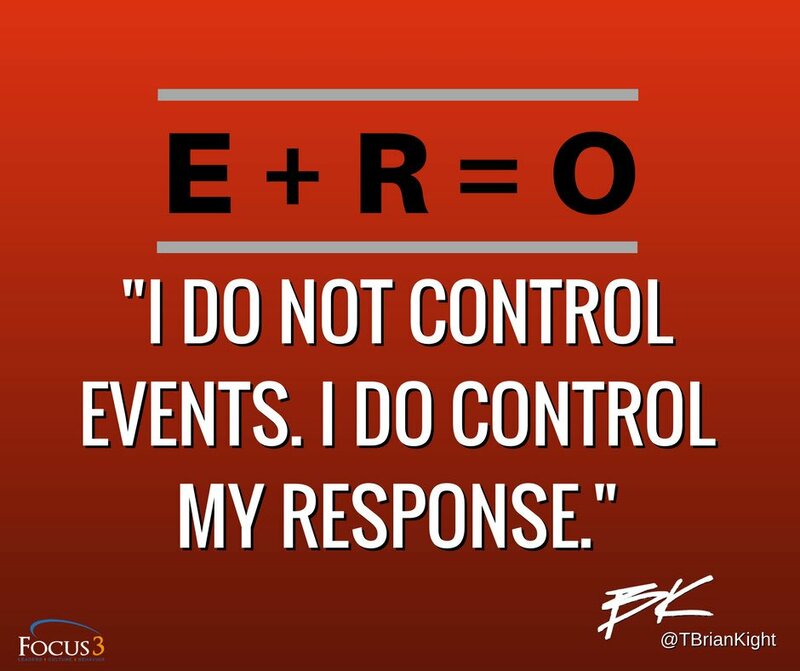 If you don’t know what the R Factor is it is a system based on the equation E+R=O… or the events plus your response to them are what produces outcomes. This system was made even more popular when it was featured in Above the Line a book by Urban Meyer discussing how he led the Ohio State football team to a national championship using this system. Urban and Tim are good friends and Tim worked very closely with the team that year. I was really into the R Factor for a while but had drifted away from it until recently. Over the past couple of weeks I have been listening to the Focus 3 Podcast with Tim and Brian Kight (father and son). Listening to this podcast with fresh ears helped me fall in love with the concept of the R Factor all over again. The magic is in its simplicity and universality. One concept in the R Factor and the Focus 3 Podcast really resonates with me … discipline over default. Put simply our default behaviors, thought patterns and mindset (when we operate on auto-pilot versus being deliberate) is what holds us back from elite performance. If we just press pause and think “what response does this situation require of me in order to achieve my desired outcome” we are on our way to becoming the best versions of ourselves. This concept resonates so much with me because I think it is honestly at the core of nearly every self-improvement process, model and system. But the R Factor is the only place that I remember hearing it stated so simply. Focusing on discipline instead of on default is the unlock to amazing accomplishments. It applies everywhere and is something that each of us can tap into nearly every minute of every day. Discipline over default recognizes that we each have choices that define our outcomes. By choosing wisely and choosing a discipline-based approach we move closer to becoming the best version of ourselves! In order to illustrate my point of view about the universality of discipline over default, I will share an example outside of the leadership setting. I will share an example of how discipline over default applies in the health and fitness environment. As many of my readers know, I have been going through a personal transformation for the past 15 months or so. 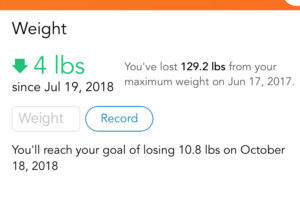 In June 2017 I decided I was going to lose over 100 pounds in under a year after a lifetime of obesity. I frequently tell people that my “secret” (because everybody is looking for secret ways to get rich and thin quickly) was combining data and project management to accomplish my goal. It occurred to me this week that I have a different “secret” to my weight loss journey – the R Factor. I chose discipline over default every day for 15 months and it resulted in me losing 130 pounds. I chose to get my mind right and pay attention instead of just continuing to coast through my health decisions. If choosing discipline over default for just 15 months can result in me losing 130 pounds it can be successful anywhere! Call to Action: when faced with difficult choices take a second to press pause and think about the situation that you are facing. Think about what the situation requires of you and make the right choice. By making a choice to choose the right response to the events you are facing you can generate the outcomes that you want! 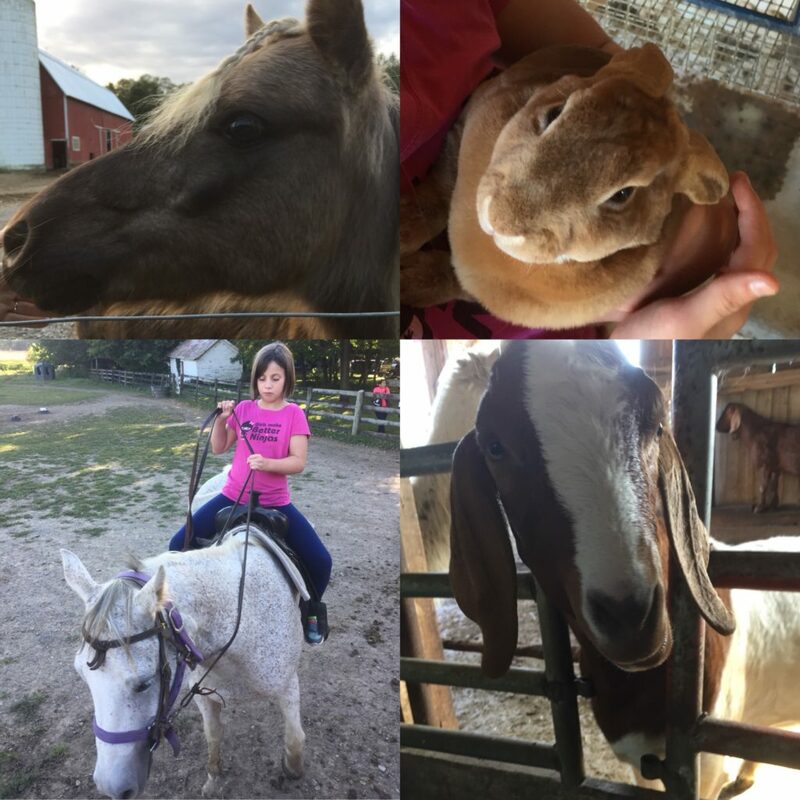 As I was thinking about what to share this week I had trouble thinking of anything notable. I was considering saying “nothing to share” but in a more eloquent way. I really thought I had no accomplishments or events worth sharing. After thinking more about it I am crazy! 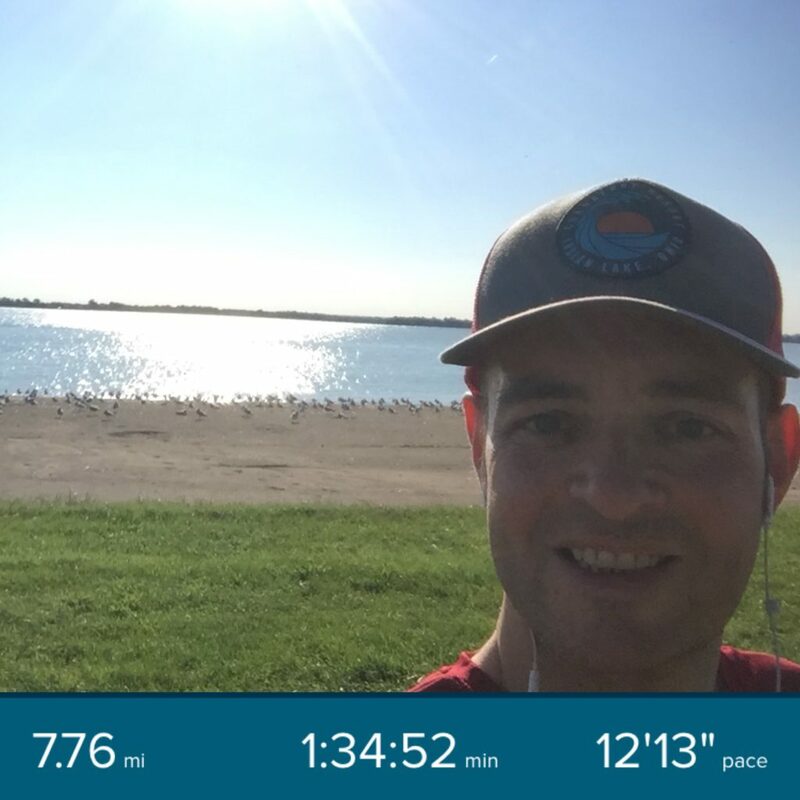 I set 2 big personal records this week! How could I think I had nothing worth sharing?! I think I have hit a point where I under-appreciate how non-ordinary what I am doing really is. I still look at this journey through an “average” person’s eyes. The truth is that I know that anybody can do what I have done and am continuing to do. It just takes goals, discipline, data and solid project management … with a touch of competition and inspiration. It is not impossible… anybody can do it. But they don’t! I didn’t do it for over 40 years either. It has become apparent to me that, despite starting what you could call a “brag blog”, I don’t really celebrate my accomplishments in this journey very well. I just have a personally remarkable accomplishment and move onto the next. I honestly don’t give myself enough credit. My evidence: I really thought I had nothing worth sharing this week. I went back to have another 90-day check-in with my doctor this week. The main goal being to check on my blood pressure and overall progress. Good news… I have a clean bill of health. My blood pressure is doing great and I am done with medication. Plus my heart sounds great and I am good with pretty much everything else across the board right now. I go back in December and we will be redoing blood work to check how everything else is progressing. One interesting moment from my appointment has to do with how my medical profile (my words, not the doctor) has evolved. When I started this journey I had a profile of a sedentary, obese American on a path to early death. Now my profile is different. My doctor described me as being in the category of “aging athlete” and that changes the things that we focus on with my health. I have gone from focusing on how to prevent me from dying to how to ensure peak athletic performance. Speaking of huge progress…. 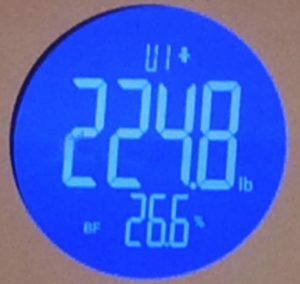 I hit a new low weight earlier this week. I officially crossed the 130 pounds lost mark! Only 5 or so more pounds and I am switching to weight maintenance instead of weight loss. Of course I have done nothing but gain temporary water weight since hitting that low weight. Due to high sodium intake in the back half of this week I am now working my way through a temporary weight fluctuation of more than 5 pounds. I know I will get past that early this week but it is a little frustrating none the less. 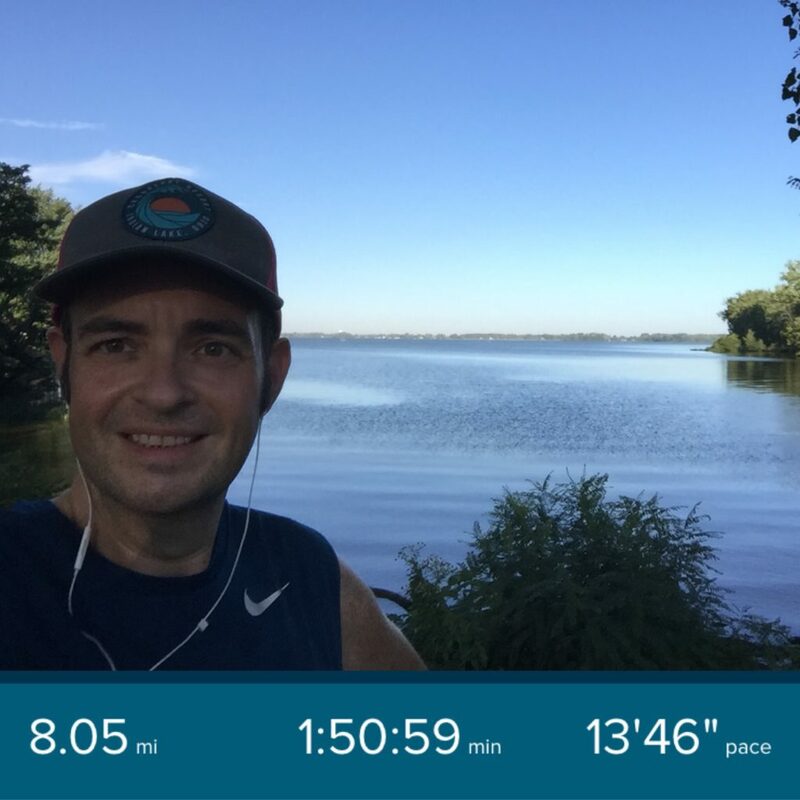 My preparations for the half marathon continued this week and I had a nice long run on Saturday. My total distance was 13.4 miles (more than a half marathon) and my pace was 12:45 and that is faster than I did last time I did a 13 mile distance. That means both progress and a personal record! The long run wasn’t easy and I did think a few times about cutting it short. I caught myself thinking that way and stopped it. You don’t get to your goal by shortcutting your training and I am going to get to my goal. I am going to finish a half marathon in just under a month! The long run was rewarding and helped build my confidence for the marathon for sure. But it was also a lot of fun because I explored various parts of the city that I haven’t been to for a long time. 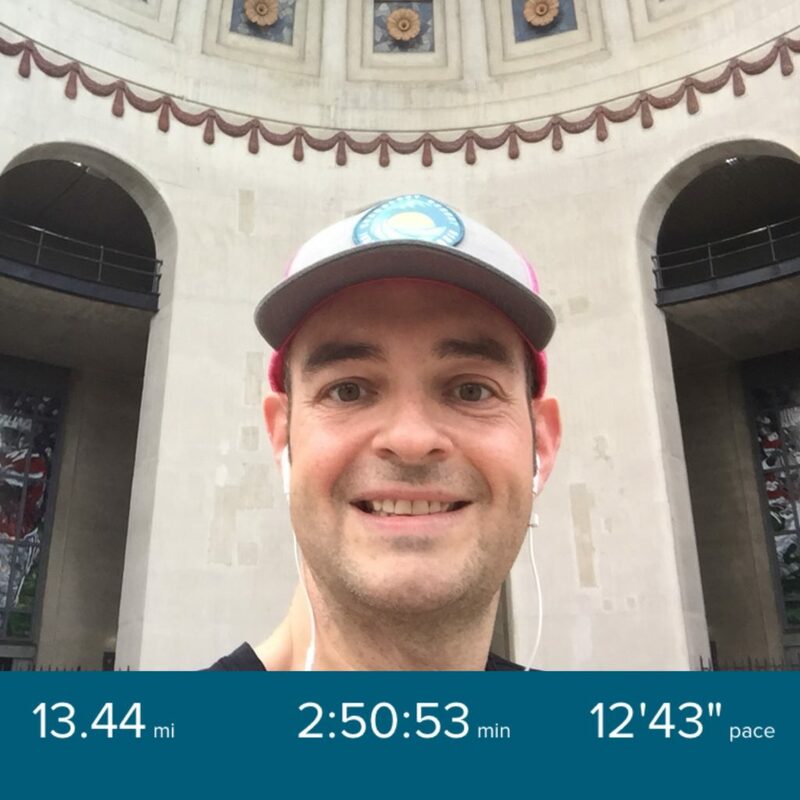 I ran from home all the way up to the Ohio State University campus and to the stadium where the Buckeyes were going to be playing just a few hours later. It was great. 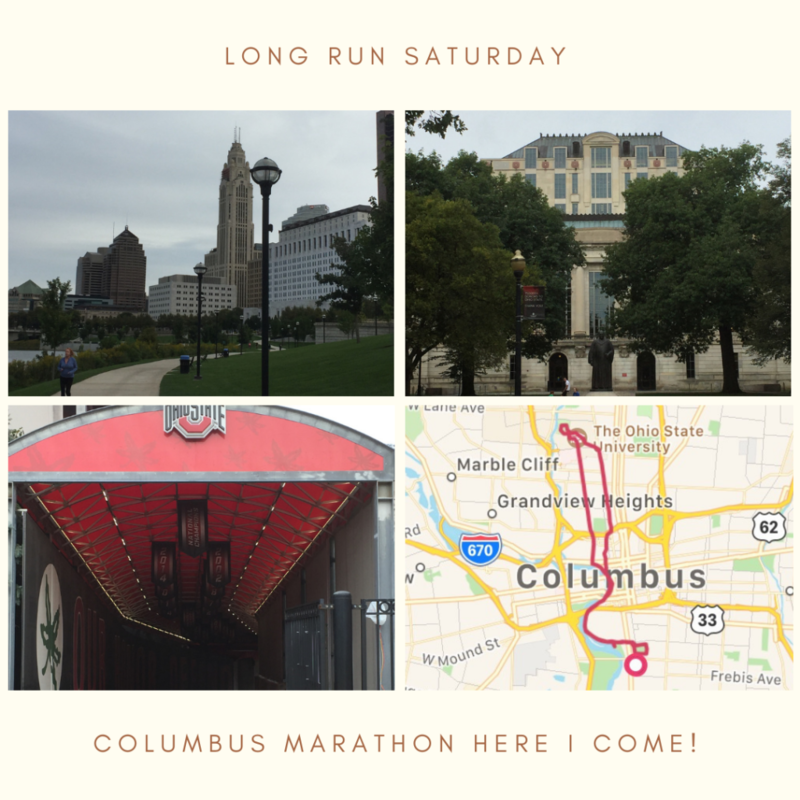 I really love my city and one of the best ways to celebrate that love of Columbus is to run through every one of its nooks and crannies! After the run I was starving and ate every bit of food I could find through the day. I burnt over 2000 calories during the run and my total daily calorie target is 1900, so I burned more than a full day of calories in just a couple of hours. It was super important to replenish some of those and that I did! This morning, Sunday, I woke up pretty sore from my run. But instead of letting that pain turn this into a non-exercise day, I decided to make it an “active” rest day. I took a nice long 5-mile walk to enjoy my cool Sunday morning and to get my joints stretched and warm. 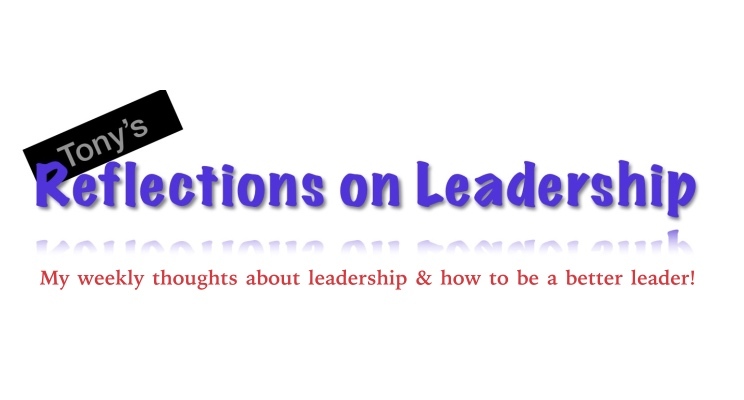 This week’s Reflections includes another story based in a restaurant. I seem to tell a lot of stories that are based in restaurants so I guess you see where my priorities are! My wife and I enjoy a restaurant in our German Village neighborhood called Valter’s at the Maennerchor. Valter’s is a German style restaurant located in a historic building that is home to a German singing society and is full of beautiful architecture and memorabilia. The food and drinks are excellent and some of the best in the neighborhood. Best of all the restaurant is owned by Valter! Valter is an Albanian immigrant and has been active in the German Village restaurant scene for many years. In fact, a few months ago, he told somebody he has been cooking for me for more than 15 years. That is scary because there is no way I am that old. 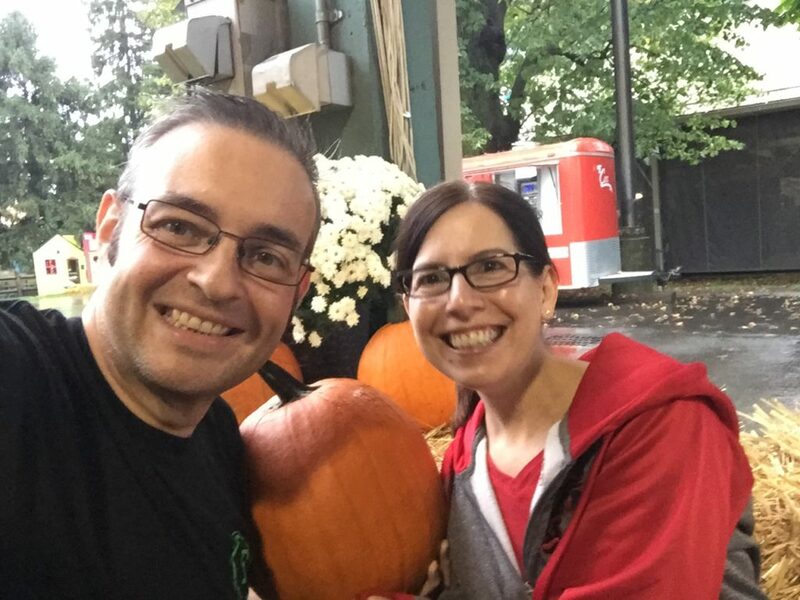 I love Valter because he is a great chef, he works so hard in his multiple business ventures and is tirelessly focused on quality and his customers. But there is more to it than that. Valter is an amazing person! Here is a story that exemplifies why I say that – easily my favorite Valter moment…. One night we were eating at Valter’s and he came up to us and said hello and we talked for a bit. Then Valter stopped by another table where there was a husband and wife with a couple of kids who were just about to leave after they had paid their bill. Valter was talking to them and found out that they were staying at the Ronald McDonald House while one of their kids was receiving medical treatment at Children’s Hospital. Valter asked them to wait there for a minute and went inside for a minute before re-emerging. He walked up to the family and handed them back all of the money they had just paid for their meal. He told them that their money is no good at his restaurant and asked if there is anything else he could bring them. This was a very poignant moment for me. Valter would rather take a loss and be a compassionate human being than to make a profit from these customers. It was an amazing gesture and a sign of just how amazing of a person and a leader Valter is. Great leaders know that we are all human beings first. As such, they make sure to put their people first before the needs of the day. There will always be plenty of work to do, there will always be new issues, there will always be stuff. But you don’t always get a second chance to be a caring and compassionate human being! Even more impressive are the greatest leaders. They also put the humanity needs of their customers ahead of their own needs, even if this isn’t the most profitable decision. By genuinely putting the people first instead of just chasing the money you have a chance to build positive long-term relationships with your customers. So it makes good business sense in addition to having the opportunity to be a great person…. Plus you may be able to build some good karma too! Call to Action: do at least one thing today to show compassion and genuine concern and for your team, your customers or your partners. Then do the same tomorrow and the next day and every day after that. Maybe we can all unlock our inner Valter and make the world a better place! 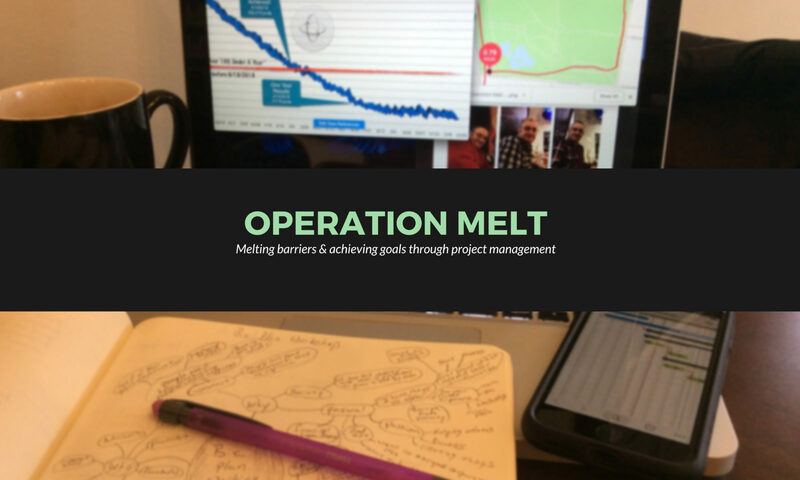 This was a fairly uneventful week in my Operation Melt journey particularly compared to last week’s excitement. So I thought I would share some notable numbers from the week. Yesterday was the 15-month anniversary of the decision that changed my life. On 6/15/2017 I decided that I had enough of being obese and I was committed to fixing it. I committed to losing over 100 pounds in under a year. I didn’t know how I was going to do it, I didn’t know if I was going to be successful, I did have a bunch of rules about what I wasn’t going to do but I decided I was going to try. This week marked the 6 month anniversary of achieving my original weight loss goal of losing 100 pounds. I accomplished the goal in just 9 months instead of my planned 12 months. Since then I have not only kept the weight off but continued to make progress. My total weight loss is up to 129.2 pounds as of Friday. This represents nearly 40% of my body weight lost through this journey. This is particularly notable this week because my weight loss has slowed significantly but I did see some new movement this week and am at a new low weight! I set a new personal record this week with my deadlifting weight. I deadlifted 110 pounds with my trainer this week. That is 56% of my body weight! I am going to say I am on track to be able to deadlift my body weight by the end of the year! I only ran 12 miles this week because of a series of changes to my exercise routine. Fortunately 8 of those 12 miles were my long run on Sunday. I am getting a little nervous about my readiness for the half marathon but I have come too far and accomplished to much to be afraid at this point! The last number to share this week is 100. I am 100% happy that I made the decision to change my life! I am 100% proud of myself and my accomplishments! I am 100% convinced that I am unstoppable and can accomplish anything!